The image is linked to the AJ-Press page for more info, but it comes with decals for a 1/48th scale Zero, and a blow-by-blow build of the Tamiya 1/32 kit. It was a toss-up between this and the Osprey modelling book by Brian Criner, which also looked pretty good. If anyone has any suggestions for aftermarket stuff that will make my life easier, I'm happy to hear them. Largely though, I plan to do most of the work from scratch. It's also a 'can't lose' scenario. That alone gives you total freedom to try any darn thing you want to. I'm slowly working my way through each of the Eduard PE sets for the Tamiya A6M5. If you're going to go to town on with this rebuild I'd imagine the whole set would be a pretty helpful resource. Looks like a great book. Does it have any photos or diagrams showing how the piping and cabling coming forward from the firewall connected to the engine? Or how the oil cooler was hooked up? I haven't had a chance to look through it properly yet, but I'll keep your question in mind and have a look for you (and me!) soon. I got my copy from Hylands in Melbourne, which, if you're an Aussie (Koala? just maybe? ), has to be just about the best military bookshop in the country (it would probably rival the best military bookshops in the world I'd imagine). Not sure I can afford the Eduard PE though, at least, not too many of them anyway. Which would you recommend as being the most vital or useful? 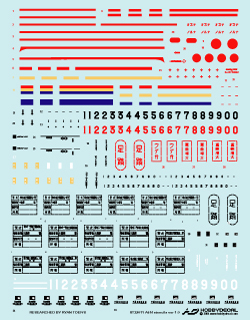 There's a whole Big Ed set for the Tamiya kit that is a small fortune and much of it probably couldn't be adapted very well if at all to your kit. There's a color PE set for the instrument panel that might work and isn't much money. I'd look here to see what all is available and then order locally. Shipping charges area a tad steep going direct. Kev. Use the link that Rookie has posted to go the the Eduard website. The wonderful thing about the site is that they offer the complete instructions to their PE sets for free download (PDF format). I'm not sure that I agree with Rookie, who I know has also completed an A6M5 build recently. Check it out for yourself. I'd be surprised if the PDF's alone are not a help to you - at least in considering what you might want to do with your build. Yep, I am an Aussie, from Wollongong. But I'm also flat broke right now so unfortunately cannot aquire such gems as the one you've got. But if ya want to do a battler a favour, PM me if you find any good shots re. what I mentioned. I certainly know what you mean about being flat broke mate - if it wasn't for a tiny birthday windfall I would've struggled to get it myself. I'll definitely check out those PDFs though, as I think I'll need all the help I can get! I'm not really sure even where to start with it at the moment, so I think I just need to read the book now that I've got it, and try to get a better idea of what I need to do. Kev, a couple of suggestions for what they're worth. - Decide on the plane you wish to depict, then find out for certain if its a Nakajima or Mitsubishi build. This impacts pretty dramatically on correct colours. For instance, the two manufacturers had slightly different cockpit colours; Nakajima painted certain steel parts within the cockpit black but Mitsubishi didn't; Mitsubishi wheel wells and gear doors were all the underside green/ash/grey but Nakajima gear doors (inside) had the Aeotaki laquer finish; and, the demarkation lines between topside and lower camo colours were different etc etc. - If you haven't already, trawl through the J-Aircraft website. 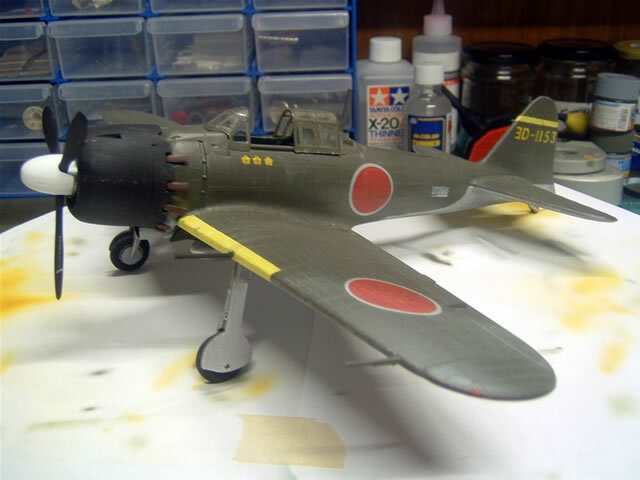 Check the article by Ryan Toews on enhancing the Tamiya kit and search on his name in the Navy planes forum. Don't forget to check out their walkarounds section. Its the best source of Zero images on the net that I've found. PS. 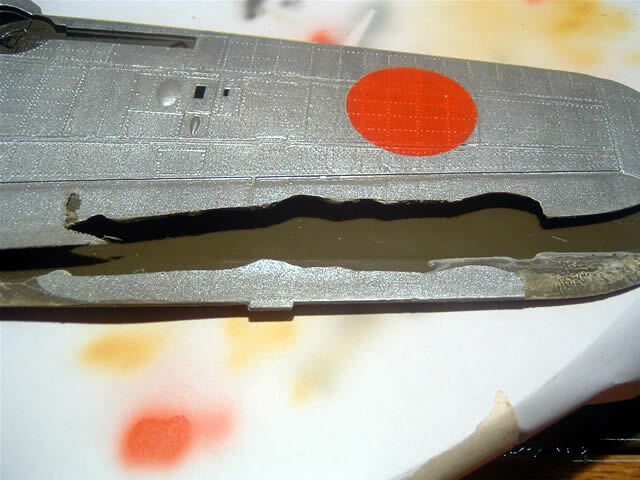 I recently realised that after heaps of agonising over how to mix up a "correct" underside green/ash/grey colour that Tamiya released a bloody fine match to go with the A6M2 - XF76 - straight from the jar! Oh yeah, also I found out after even more agonising that Tamiya XF71 is a very passable match for the Mitsubishi cockpit colour. And Testor's also makes a 'metallic interior blue' that is spot on for the primer. I tried mixing the Tamiya colors as instructed and it looked like it belonged on a Harley or something. "Pimp My Zero"! Thanks Koala. I bought jars of XF-76 & XF-71 during my shopping spree last weekend (from whence came the book). I also bought XF-75, listed as "IJN GRAY (KURE ARSENAL)" and XF-70, listed as "DARK GREEN 2 (IJN)". Not sure about these last 2 colours, but I've got some old jars of their Gunze equivalents to fall back on if I need to (and if they're any good still). Pick a scheme first - now there's a novel idea! I often can't make up my mind until so late that it delays the painting process! I'm keen to start on this one, but at the same time I realise I need to do a fair bit of reading first, or at least before getting too far. Oddly, I can find hardly any useful reviews or build-ups of this Revell kit on the web. I was hoping for a quick heads-up on where it's major accuracy problems are, but I guess I'll have to determine that for myself. Hopefully some actual modelling photos soon! Seems Tamiya released a whole line-up with their Zero line, I'd never seen those others. Guess I will have to think about building that second one at some point. Sheesh. Kev, I just ordered some pe from eduard, and their shipping charges are set in stone. I ordered 60.00 $$ of PE (on sale) and S&H is 29$$US. Next time I'll save my pennies, and order bigger.